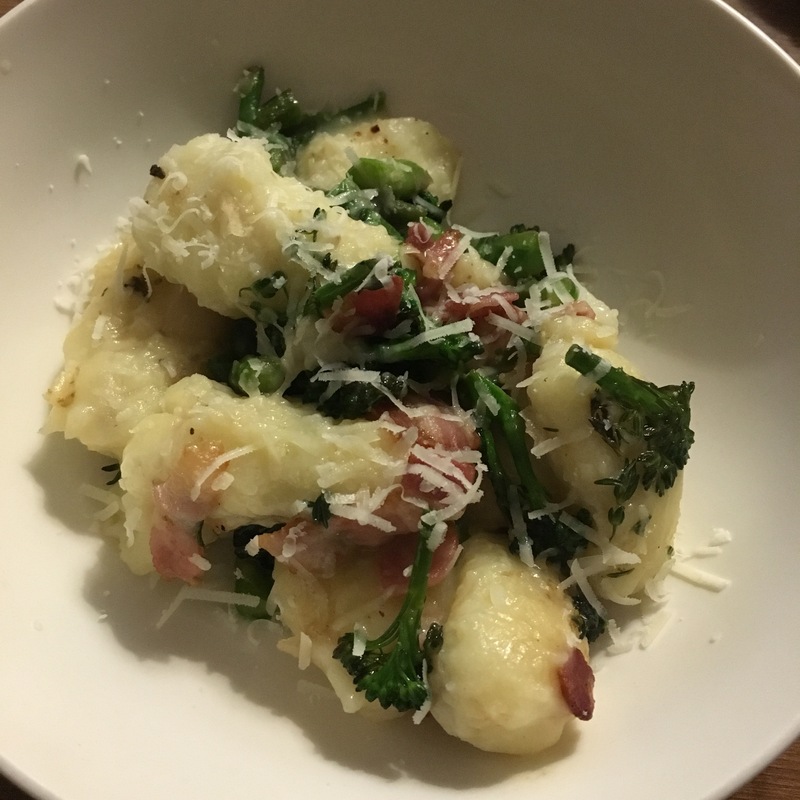 A couple of weeks back, we made yet another dish from Jamie Oliver’s new 5 Ingredients cook book, the Easy Rustic Gnocchi. My main worry was using gluten free flour, I was unsure if they dumplings would hold their shape. Luckily, it worked like a dream and Lawrence said our home made version was better than a restaurant dish he once had. The only problem with the recipe was that it was far too small. I don’t think it’s greedy to have a decent sized main meal at the end of the day. The original recipe said serves 4, so I split it in half and seemed to end up with a child’s serving. It was delicious, yes, but where was the rest of it? I think recipe books are outdated in their approach to portion size. Most recipes in books serve 4, but how often do you have four adults around the table? And each adult has different preferences to what size meal they need/want. If you’re serving two adults and two children, that’s going to be a very different amount from feeding twin 5-year old girls to two 15 year old boys. We all have such varying nutritional needs, I think a simplistic portion number can only ever be used as a rough guide. I know I’ve been put off from recipes that say Serves 6, but it might actually end up serving the two of us, with a tupperware left for lunch tomorrow. 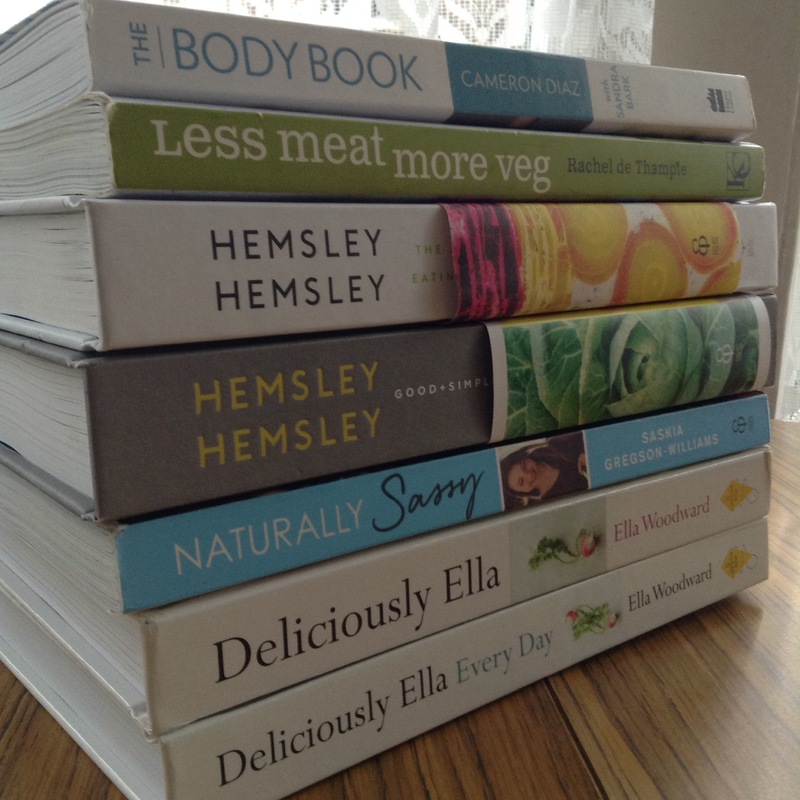 Have recipe books got it wrong? I know serving suggestions are there as an aide to stop people over eating, but I think the space in the cook book would be better used to advise how long that particular dish could be left in the fridge for, or if it’s freezable. Another personal portion control gripe that gets me is when a recipe is in the main meal section of the book, but it contains little more than a few vegetables. Not saying that vegetarian dishes aren’t delicious, but you need protein, pulses, some beans and some carbs, a bit of rice, a little pasta to make a main meal. Obviously, people are few to choose the eating style that works for them, but I know in my house, a meal solely of vegetables does not constitute dinner. I’ve seen this go the other way too, particularly with vegetarian/vegan cook books. A dish that apparently serves three, but you end up eating sweet potato stew for the rest of the week. I guess it’s all in the eye of the beholder; how much you acknowledge the serving size guide and how much you just use your own intuition in the kitchen. Back to this week, and I’ve been watching the Weinstein scandal unfold with interest. I am horrified by the secrets coming to light and it got me thinking about the dangers and risks of success. This issue is not exclusive to the movie business, but in any area of supposed success, you are more vulnerable to pressure, to judgement and to an unpleasant side of a perceived glamorous world. The shining lights of Hollywood hide much bigger shadows. Although there isn’t huge money or notoriety in the humble life, I think there is a lot to be said for a nice job, good friends that you know don’t have an alternative agenda and an outlook that doesn’t involve exploiting others. Whilst reading through all of the reports from all of the victims, I felt very lucky not to be a movie star. I felt lucky this week when I was walking home and the rain was coming in sideways and the wind was howling. I thought of the Moana lyric “The water is mischievous, ha! I like how it misbehaves.” With the rain pummelling and the wind threatening to tear my umbrella out of my hand, I could have been sad, or even angry, but I laughed out loud, like we were all playing a game. You think we Brits would learn to love the weather that defines us, I know I’m going to try a lot hard to find joy in the rain. 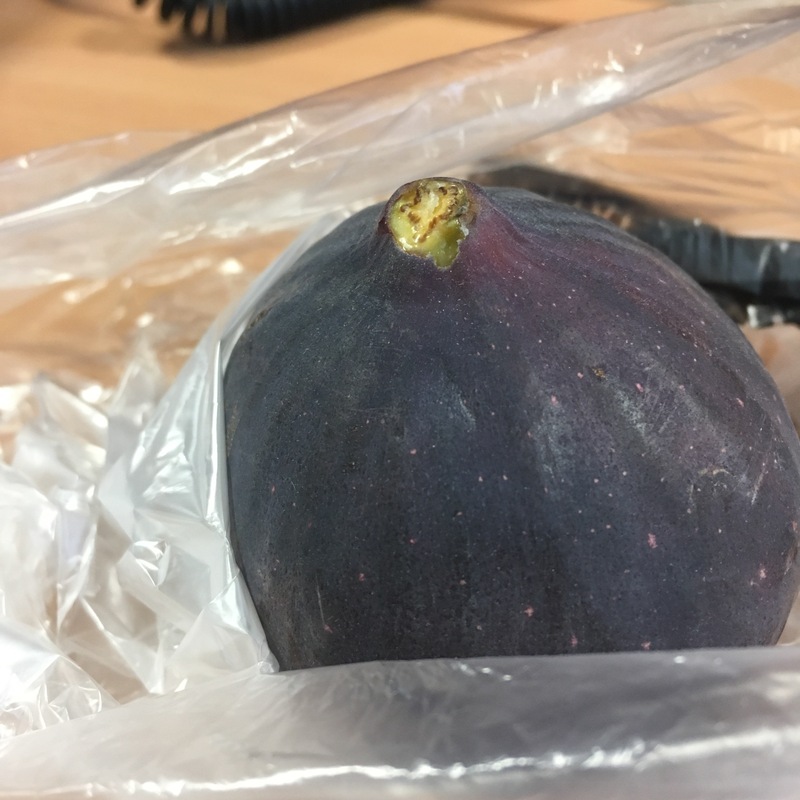 I’m trying to find the simple joy in the everyday, like perfectly ripe figs. That connects with a larger goal of mind to keep my mindset in check. I’m struggling at work with boredom, I struggle with my energy and pain levels and I feel like my relationship with my boyfriend struggles when I’m too tired in the evenings to watch shows. But a slight shift in the way in which I think can completely change the day around. I’m still getting paid and able to pay my bills. Some days are better than others for pain and I’m grateful for the good days. And we can always watch shows in bed on days when I do have fatigue. There’s always a positive side. I don’t always see it, that’s why it’s so important to have people around you to show you the light. I’m currently waiting on a delivery that I can’t wait to discuss in next week’s post. If all goes to plan, it could be the answer to my local, sustainable and organic grocery needs. Have a wonderful week, and enjoy the hurricane! I love gnocchi so ill have to try this. Was wondering about GF flour too!! You are so right about servings info. I never know what to say about that when I write down a recipe. It really does depend on who is eating! Looks like a good cook book! I love easy meals. I’ll have to see if I can get it through the library. Our meal sizes are changing as the kids get older. Sometimes we eat it all, other times I misjudge amounts and we have leftovers galore. I think most recipes hold true but some are goofy. Just depends. How did you fare with the hurricane? I hope well. Yes, last week & the aftermath were really depressing for women. When they silenced Rose McGowan, it was like salt in the wound. Good food definitely helps balm the hurt, I think. Very lucky, no issues with the hurricane here. I agree, it was depressing to see it all unfold, but hopefully there will be justice. Good food heals so much 😊 Thank you for sharing your thoughts.